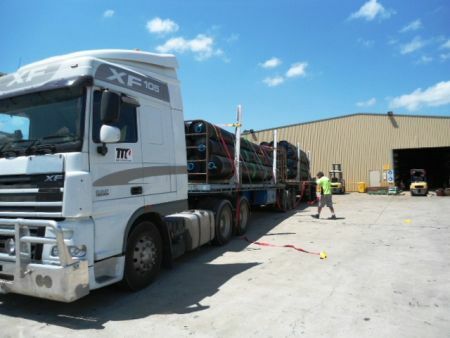 The Team Projects Division have been busy picking up 144 containers of geomembrane dam liners from the Wharf, unpacking them at our Carole Park Depot and distributing via single and b-double trailers to the Reedy Creek Water Treatment Facility located near Roma, Central Queensland. 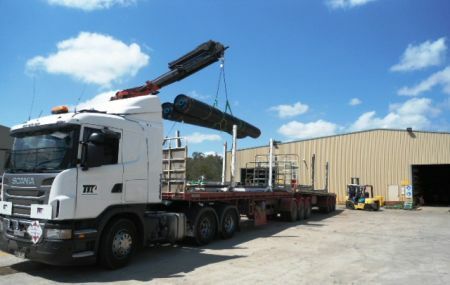 The gas gathering system and water treatment facilities are part of Australia Pacific LNG’s multi-billion dollar, world-class coal seam gas (CSG) to liquefied natural gas (LNG) export project. With our special projects Team managed by Rowley Prentice, the best project staff possible, a diverse range of vehicles and experienced drivers, the latest project management software and planning tools, this job is just another day at the office!